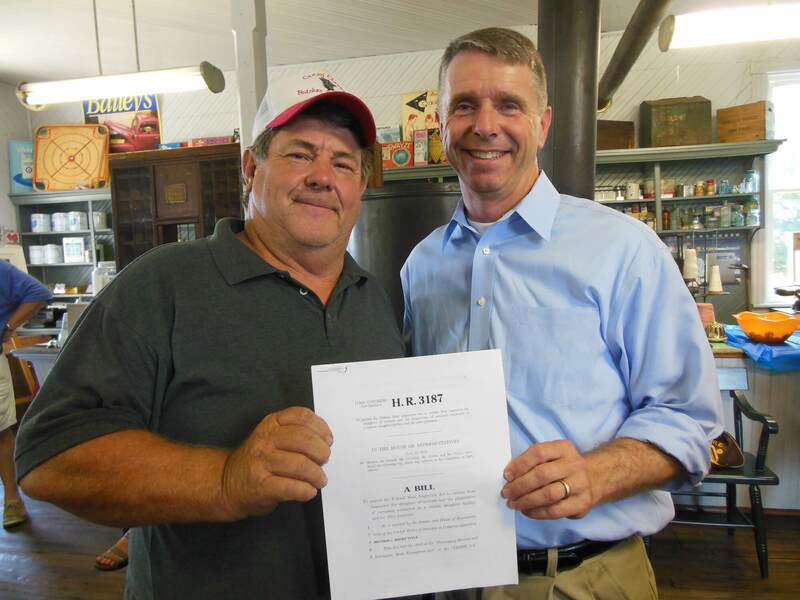 Congressman Rob Wittman has signed onto a bill that will encourage more local production and processing of meat in Virginia. The PRIME Act, H.R. 3187 (Processing Revival and Intrastate Meat Exemption), was introduced by U.S. Representatives Thomas Massie ( R-KY). If enacted, it will make it easier for small farms and ranches to serve local consumers. The Act would give individual states freedom to permit intrastate distribution (within the state) of custom-slaughtered meat including beef, pork, and lamb to consumers, restaurants, hotels, boarding houses, and grocery stores. Call your Representative (202) 224-3121 and ask ’em to co-sponsor the Prime Act HR3187! #freethefarmers http://bit.ly/primeact < < You could tweet this. With the ever growing demand for local food and consumers wanting to know how their food is produced, they may now likely know where and how it was processed. If this new legislation is passed, consumers will also know the butcher. The bill will allow local “custom processors” to sell meat by the piece or cut instead of whole animals. Current law requires consumers wanting to do business with a local producer to buy the animal and pay for the processing. Purchasing what is typically a year’s worth of meat at one time, along with the cost of a chest freezer is cost prohibitive for most consumers. In 1967, Congress passed the Wholesome Meats Act. Promoted to make meat safer, the Act has actually has done just the opposite, while also driving out the small processing plants, having the effect of increasing concentration and consolidation in the meat industry. Smaller local and regional processors have been crushed under the constantly increasing costs and federal regulations. Originally posted on FarmtoConsumer.org and republished here by the author.